Presidential candidate Gustavo Petro has upset Colombia’s establishment by revealing extensive ties between drug traffickers, corrupt elite politicians and the country’s spy agency. The scandals have disgraced former President Alvaro Uribe and former Vice-President German Vargas, who saw many of their closest allies sent to prison because of Petro’s revelations. Interpol ended its cooperation with now-defunct spy agency DAS after Petro demonstrated that intelligence officials were conspiring with drug traffickers to discredit the Supreme Court. Since the breaking of these scandals, Uribe and Vargas have done everything in their power to discredit the anti-corruption advocate. 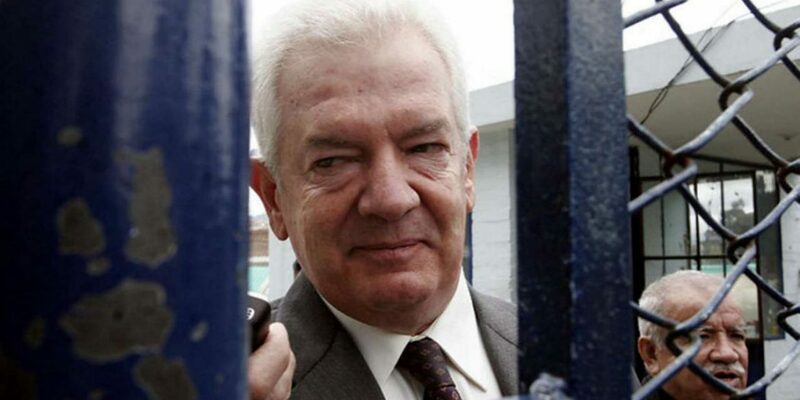 Petro’s first blow to the country’s political establishment was in 2005 when he exposed ties between fellow-senators and paramilitary death squads in the Caribbean province of Sucre. His revelations spurred one of Colombia’s worst human rights scandals in history. At least seven governors and more than 60 congressmen, including Uribe’s cousin, were sentenced to prison. What Petro demonstrated and the Supreme Court later confirmed was that many economic elites and establishment politicians aligned themselves with drug trafficking paramilitary groups for political and economical gain. The criminal investigations decimated Uribe’s support in congress. Vargas’ party Radical Change was forced to replace half its congressmen after they were suspended or arrested. By 2007, Petro’s allegations also spurred investigations against the family of then-President Alvaro Uribe. This powerful family from the Antioquia province that used to be close to the Medellin Cartel. Uribe’s father was a close friend of narco-family patriarch Fabio Ochoa. Uribe’s brother Jaime had a child with a member of the Cifuentes-Villa drug trafficking clan. Petro also revealed a photo of Uribe’s brother Santiago with Medellin Cartel boss Fabio Ochoa Jr. The claims led to investigations about ties between the Uribes and the deaths squads that took over the Medellin Cartel’s drug trafficking businesses after the death of Pablo Escobar. Uribe’s cousin Mario, the court later demonstrated, had signed a pact with Bloque Norte commander Salvatore Mancuso. The paramilitary forces under Mancuso coerced voters in the Cordoba province to elect Uribe into Congress in 2002. The investigations against the corrupt regional elites, and in particular the Uribe family, spurred action from the DAS. The Supreme Court later found that that Uribe had appointed Jorge Noguera, a close associate of the AUC, as the director of the intelligence agency that reported directly and only to the presidential palace. The DAS began spying on government opponents and critics after Uribe appointed the now-convicted Noguera to run the agency. Noguera appointed a number of intelligence agents with strong ties to the AUC and the agency formed the so-called g-3 unit that was in charge of the wiretapping. In an apparent attempt to frustrate the investigation of Uribe’s cousin, the DAS planted listening devices in the Supreme Court and conspired with demobilized AUC members in an attempt to frame chief “parapolitics” investigator Ivan Velasquez. The conspiracy fell through after Petro found out about the conspiracy and investigations unveiled that paramilitary representatives had met with top Uribe aides in the presidential palace. The scandal embarrassed the United States, which had provided the equipment that was used for the illegal spying. International police agency Interpol broke ties with the agency that eventually was dissolved in 2011. Uribe’s chief of staff and several of his private secretaries in the president’s office ended up in prison. Petro destroyed Uribe’s support abroad. Alarmed by the drug trafficking allegations and human rights scandals, foreign governments distanced themselves. Inside Colombia, however, Uribe and Vargas continue to be powerful forces in politics and are likely to become the dominating force in Congress after elections in March.